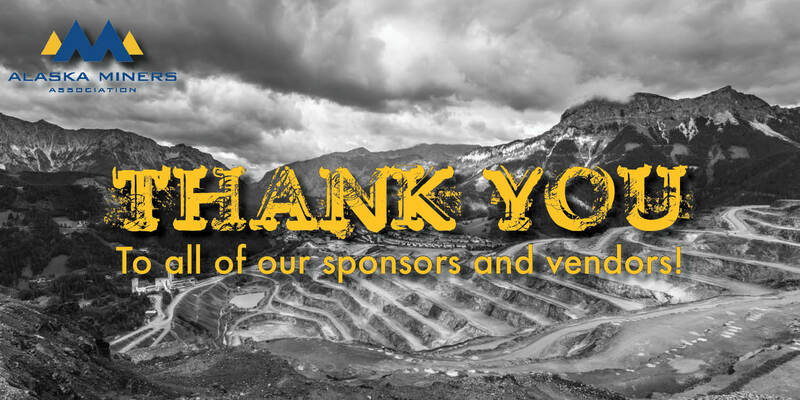 Thank you for participating in the Alaska Miners Association Convention & Trade Show as a 2019 Vendor and/or Sponsor! We really appreciate your support. 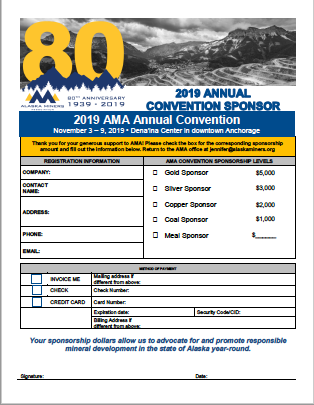 This event is instrumental in helping us to sustain our efforts year-round to promote a vibrant mining industry for Alaska. 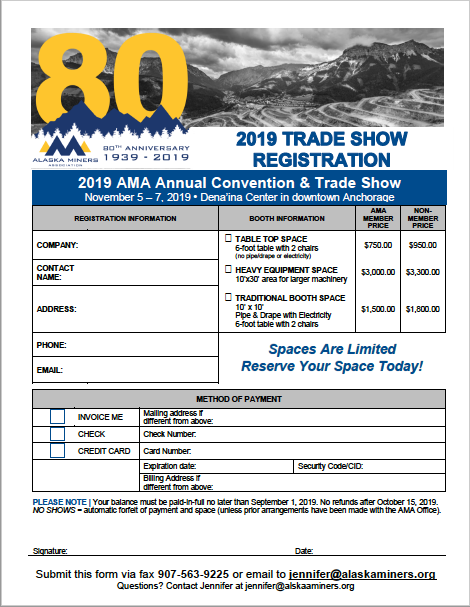 Alaska Business, Alaska Dreams, Inc.